For those of you that missed Stephen Elop’s keynote at Qualcomm’s Uplinq event the first time around, the video is now live. 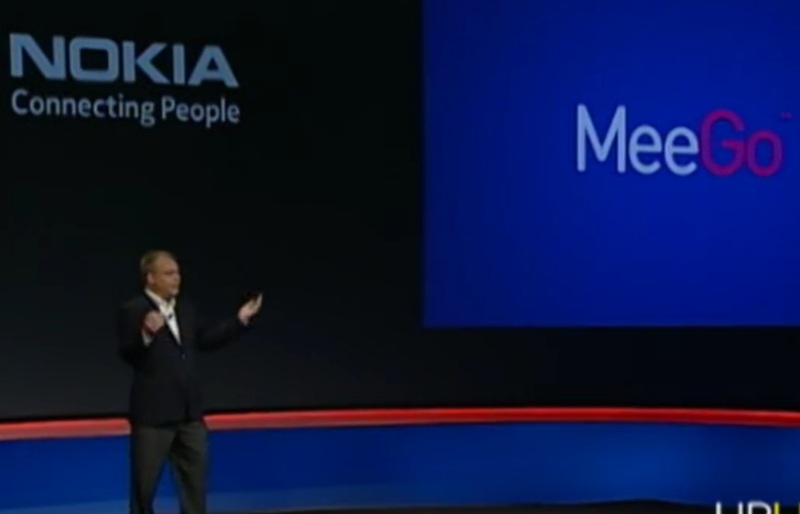 Opinions on Elop aside, he’s such a great speaker for Nokia. I can’t wait for him to announce the new high end smartphones from Nokia. CEO of Qualcomm came to Elop with 10 things he felt Nokia needed to address. With the support from Qualcomm, Elop felt confident that they could deliver Windows Phone this year. Shift from Battle of Devices to a war of Ecosystems. All began with Apple – supporting services – delivering complete user experience at a level much higher than anything anyone had seen before in the mobile industry. Apple being Apple took a mobile approach and kept the ecosystem closed and to themselves. In so doing they essentially created Android. By having a wonderful UX to which everyone wanted to do the same thing. Apple created a vacuum and google stepped in and filled that void. Nokia – there is an opportunity for a third ecosystem to emerge. We don’t have a strong presence in America, although interestingly in 2004 we had nearly 40% in this country just a few years ago. Worldwide, Nokia is a very strong company, 1.3b using our devices. Shift is happening, we realise we need to make that transition too. Internally we went through a series of assessments. I’m an engineer focused on software, one of the things that was clear to the me and the team, Symbian had some challenges – some engineering challenges. Whilst it has served us very well for a number of years, something has happened. As developers you know how this can happen in a body of code – it begins to get fragile over time, it gets a little bit crufty. Every time you make a change it gets a little bit longer to stabilize the code. Where that has been happening for a number of years with Symbian and it was clear that it was taking longer and longer (boy do we see it) to make critical changes that needed to be made in order for it to be competitive. So we were very very concerned about our prospects with Symbian. We have a lot of innovation – a lot of good work that has taken place around the MeeGo platform. But what we assessed was that we could not create a portfolio of devices covering a full range of price points fast enough with meego in order to respond to the threats we are facing. In this market place, a company like Nokia certainly serving the high end but all the way down the price point ladder all over the world – that is the nature of our global position in the world. While MeeGo helped us at the high end, we couldn’t see it come down fast enough in order to help us solve all of our problems. So we were at a tough spot. Internal options were challenged – still possible – but challenged. What we neede to do to evaluate our other strategic options. If we look at this from an ecosystem point of view there were two options, one was Android and the other was to build essentially a new ecosystem with Microsoft. Last year and this year we spent quite a bit of time with both companies to learn as much as we could about pros and cons of us taking a substantial market share position towards the google environment. With Google we believe we would be joining an ecosystem which is on a winning trajectory. It’s growing very quickly. We also felt that very quickly we could reenter the united states market with force, an area that has been very difficult for us using Symbian. We also thought that there are a number of opportunities to perhaps differentiate on Android but in the final assessment is that would not be able to differentiate enough, that there are so many companies already piling in to that space – all very innovative, doing interesting things that would be hard to stand out amongst them – that was the challenge that owuld be generally faced in the Android ecosystem. So, less opportunity for differentiation within Android. Also there was a bit of an attitudinal point – jumping in to the Android pool felt a little bit like giving in. And Nokia is a company that has a strong histroy, a long period, 146 years of going through significant disruption, making changes and leading again, so there’s a strong attitude in the company that you don’t give in, you fight harder. So Android – viable option but wasnt really compelling us. At hte same time we were talking with Microsoft. What we found with Microsoft was a remarkable symmetry on our relative strengths and our weaknesses, the assets and capabilities we had in our company. e.g. as it relates to the construction of the mobile device, we have a tremendous skill whether in the industrial design, manufacturing, factories, we have a huge strength in the hardware supporting technologies while Microsoft learly with the Windows Phone operating system has something to contribute. In many respects we had much of what they needed, they had much of what we needed. But it goes beyond that when you think of ecosystems – it goes to search and advertising and entertainment and productivity services. We have maps, navigation and location based services so there was a lot of complementary elements that when you brought the two companies together in a partnership you could go wow, all of this could define the third ecosystem. Most importantly was the fundamental belief, established in our agreement with Microsoft – that we could differentiate, that we could have a unique point of view, relative to Android, relative to Apple, that we have something that we could do to truly change the market place in the eyes of our consumers. In the end as you know of Feb 11 we announced a bold strategy, you know what, the world’s largest handset manufacturer is going in a different direction. It hit the news, some of it you may have heard at the time but it was like OK this is a big change and on we’ve gone from there. Now clearly we’re going from device to device to that ecosystem battle. I thought it would be helpful to understand that approach and the steps we’re taking to differentiate and ultimately deliver what we believe will be the most compelling ecosystem out there amongst the three big ones we think will be established. 1. We must delight consumers. None of this matters if a consumer in a store is not simply delighted with what we deliver. Clearly Nokia has a long history of being able to do this, through the delivery of iconic hardware of all forms of iconic innovation. So a huge opportunity to delight and differentiate for our consumers. But of course the MS side of this is contribution of the Windows Phone software. The Mango release shown just a few weeks ago is a great example of the pace of innovation and the advance in Windows Phone. Now there’s a lot of question out there, why is WP so far somehow challenged. It doesn’t have a lot of pick up YET – why is that? And that was clearly a big part of our assessment before we made the decision to go Windows Phone. Now at the heart of our assessment – the majority of the manufacturers out there right now are doing their best work for Android. Android has momentum right now, its growing and so forth so it attracts sa lot of attention so when you see from some manufacturers, the latest device with the latest radio technology, they tend to be for Android because the market is growing there and WP is the second place player for many of these manufacturers. The unique nature of our relationship with Windows is that we have said, and obviously said it very publicly, Windows Phone is the environment that we will do our best work. That’s where we will focus. (Voila, reason to ditch Sym) We’re not dealing with Android (or Symbian) we’re dealing with Windows Phone. Now the other thing you have to assess is the quality of the user experience. Is it a great experience? Now that is a very personal judgement. But there has been an extensive survey of people using extensively WP, and it has the highest NPS – Net Promoter Scores – of any operating platforms that are out there today so it’s doing very well. I was on stage yesterday with Walt Mossberg – the AllThingsD conference just up road towards LA and you know the WP experience from a reviewer and consumer perspective is landing very well. But it needs scope, it needs scale, it needs a manufacturer to do great hardware to support it and to take it around the world at massive volumes. And of course, that is the nature of what we’re doing at MS. That is our commitment to MS.
2) Second point from an ecosystem perspective, we must complete the ecosystem. Make it whole. IT’s not just the device, not just the OS on that device. The ecosystem is so much more than what you’re holding in your hand. E.G. to wp ecosystem, Nokia will be contributing mapping, navigation, various location based services, and y ou know what all of the manufacturers for Windows Phone, including Peter from HTC (gestures to Peter who just did a keynote) will be taking advantage of that. Because Peter is a friend now because Peter is also a Windows Phone OEM. Now he does a little bit of that Android stuff (crowd laughs) but he is a Windows Phone OEM. That’s the part of Peter that I talk to (crowd laughs and Elop laughs after). The point though is that I want him to be successful with Windows Phone. I want G.S. Choi at Samsung to be succesful with Windows Phone. Because our principle competitor is not each other – it’s Android – even though a number of these companies are also doing Android. And BTW, we’re one of Samsung’s largest customers so it’s complicated. But at the end of the day, it’s about the competition between the ecosystems. So we’re contributing services elements for the benefit of everyone in the Windows Phone ecosystem. But equally MS is contributing a number of services and capabilites to compelte and round out the capabilities. e.g. here in US you’re familiar with BING, number 2 search engine here, Ad Center for advertising, Xbox and the Xbox gaming experience is something that you’ll see world wide, you’ll certainly see office productivity experiences for business users AND consumers, landing more and more forcefully on Windows Phone devices as part of that ecosystem. Unified communications, voice, video over IP, instant messaging – all of those things we recognize as important to the ecosystem. You may have heard the announcement 10 days or so ago where Microsoft announced the acquisition of Skype. Clearly something that will be part of the Windows Phone ecosystem as well. So you can see that the steps we’re taking to build and round out this ecosystem. Part of the ecosystem as well are the chipset provider and other hardware contributors to this environment which is why Qualcomm ourselves, MS all working v closely together to deliver absolutely be thest eperienes for this ecosystem. So there’s a tremendous amount of work not just to recognise not just hardware, OS but whole ecosystem that needs to be delivered. 3. A third important part of the ecosystem story relates to the operators. If you look around the world, the role of the operators is different from region to region, although there’s a clear trend in terms of what’s happening. Here in the US, for some time, the role of operators has been quite clear. There is a small number of very strong operators who play a critical role in the value chain and the delivery of experiences to consumers. That’s the model in the US. It’s the same in Canada. It’s very similar in Western Europe. But as you move to the east, going to places like Russia, India, China and so forth, the role of the operators is quite less. Indeed the vast majority of devices delivered to consumers by us in India have no relationship or no participation by the operators. Indeed, Nokia in India has 2400 retail outlets carrying the Nokia banner, delivering Nokia phones without the operator. The trend is still apparent in Russia, China, to a lesser extent in India, the operators are taking on a stronger and stronger role. This is causing disruptions in those markets as they get more disruptive. So its very clear to us and MS that we have to be the most operator friendly ecosystem of the three. Apple in terms of operator relations – I’ll let the operators comment on that – but Apple point of view – very strong point of view (crowd laughs). As it relates to google and the Android ecosystem, there’s a tremendous amount of fear in any industry in which they participate. Because the ultimate monetization and profit model gets drawn back into google’s search environment and that’s money that’s not available to fund the rest of the ecosystem. So that’s a real concern for operators. So we recognize that this third ecosystem that we’re cnstructing has to be more operator friendly than those two. What does that mean in practice? What can we do uniquely? Well this is an area where Nokia has very specific expertise, having worked with these operators for many, many years in a cooperative way. e.g. very relevant to the developer community – we have around the world, 132 Operator billing relationships, meaning the opportunity for your application to be sold and monetized in a particular country (well over 190 countries) that application can be sold and paid for through the operator which has an amazing positive impact I’ll describe to you in a few minutes. Other things we’re doing with operators – store in store. It’s not just our application store or our market place it is also their stores customised for their environment and local conditions, all seamlessly integrated driving more volume and more eCommerce. Also for the operators, there’s all sorts of opportunities for local application development that’s operator specific. This is very important in some markets, for example. 4. How do we broaden the ecosystem? We believe fundamentally we are just at he beginning of the mobile revolution. If you think about the intro of movies, when movies were first introduced, they were basically a camera sitting in front of a play. Basically the old medium was reproduced intitially in the new medium. They then figured out you could move the camera, follow the man on the horse, the train going down the tracks or whatever it is and create a new experience. All of a sudden new capabilities that were only possible in the new medium were being shown. Fast forward to TV shows, the very first shows were two radio talking heads looking at each other with big microphones in front of them. But then all of a sudden, the idea of having gestures, and having the entire environment, sitcoms were born (thank goodness) whatever -all these things began to happen that were only possible in that medium. The same thing is happening in mobility, where first internet experiences on a mobile device were nothing but repackaged traditional internet expriences, download a few things, whatever, and it was relatively crude. But with the mobile platform with a variety of sensors and capabilities associated with that device give it an opportunity to create an entirely new and extended experiences that are only possible on that mobile device) so we’re only at the beginning of mobility and have an opportunity to extend the ecosystem in different directions to make that even more compelling. And so while people are saying “the wars are on now, we’ll see who wins in the next couple of months” NO NO NO! You as developers are very quickly going to demonstrate everything that is possible in this new world. But it goes even further than that because this ecosystem is not just about mobility and the smartphone but it’s also about tablets, its about TV sets, gaming platforms, auto-mobiles, all the different places where people expect to have a fully connected digital experience (ah, the story of MeeGo!). All my stuff should be everywhere. Everything that is important to me, even if it’s simplest thing such as contacts or the pattern of how I do my work, or how I regularly use public transit, what ever it is, all of that should be available and used sensibly in different environments. So, we at Nokia definitely recognize the importance of delivering on this broader promise of delivering on this broader promise of the larger connected digital experience. Now perhaps the first and most notable example of this today relates to tablets. So there’s a loooot of activity and hype about tablets in the market place and that is very exciting. The current market conditions though are a bit – not yet optimised. e.g. I don’t know how many tablets there are exactly, but let’s say there are 201 tablets available to you today. One of those tablets is being sold at a furious rate at great profit and is being very, very successful. And it’s obviously a very compelling experience. The other 200 tablets, with all due respect to everyone from whatever company are not yet attracting that attention or gaining that momentum or really landing with consumers and that’s a concern for a lot of retailers in the world because they have all of these different tablets there, they have some various operating system options which are just getting started but really, there hasn’t been a viable force rising up there YET. We’ll see how that plays out. For Nokia, when I get asked about our tablet strategy, the first thing I say is that we don’t just want to be number 202. Because really, if we can’t differentiate from that pack of tablet providers who have not yet developed momentum with their products, e’re not going to be successful with that. We have to do something that is fundamentally differentiating. And we have some options to do that. Given our market penetration, strength in emerging markets, and the reach we have in the many different markets where players don’t actively participate. SO Watch this space, You’ll see some interesting things. (excited! you better deliver, Elop/Nokia!) Now if you were watching yesterday, just an example of interesting things, on stage for the first time the guys from MS showed Windows 8, the next version of Windows, where the primary focus has been on touch oriented tablet interface that essentially is part of windows. It’s not a layer or anything. It’s just part of Windows. And they demonstrated that for the first time. For those of you who have used a Windows Phone device, you will immediately begin to feel comfortable with a Windows 8 tablet (this is what Jobs said about iPad and iPhone no?) as there’s clearly a commonality there with MS recognizing the importance of extending the ecosystem whilst providing continuous value for everybody, including developers across that space. 5. This is about you. This is about building the developer community. It is so critical and has been well demosntrated with Apple and Android that the developer community needs to embrace an ecosystem for it to ultimately gain escape velocity – there’s no question about that. So it is absolutely our focus to make sure we attract YOU to this environment. The question we’re constantly asking is how do we make this the most compelling development environment and monetization opportunity for developer around the world? Now one of the reasons MS was keen to do a partnership with us is because we do have the demonstrated ability to reach out to very large numbers of well identified consumers. With Symbian, we have over 200 million registered users. 60 million are active in our store and apps environment in a 30 day basis, so a very large community of very active people. AGAIN, in North America that’s a bit hard to see a you’re not familiar with Symbian, it hasn’t been popular here. But nonetheless, around the world we have tremendous reach. It is today that we’re adding 140,000 new registered users to our collection of consumers that we know about and they are downloading more than 5 million apps, software updates, music videos, whatever it is every single day. 5 million downloads a day. Parts of the reason in many parts of the world this has been an attractive environment is the focus on monetization enablers. Helping you make money. I mentioned earlier Operator Billing relationsips, far more than any other ecosystem, in far more countries. But here is the interesting statistic. We’re able to measure the difference in uplift to developers where there is operator billing and where there is not and the numbers are quite clear. You get a 3 1/2 times uplift in volume of money you can make in an operator billing relationship than in those environments where you do not. The reason is simple, it’s much easier for consumers to just click the button and not worry about credit cards or a separate account and many countries around the world where they don’t have credit cards or don’t have an American credit card or whatever, they can just click on a button and YOU get money. And that’s a very compelling thing. It is the case as well for developers, that as part of this ecosystem, you will see a fresh collection of new APIs, in areas like location based services, mapping, navigation, advertising in that environment. All sorts of new places where again, incremental monetization opportunities will exist for you. A lot of other things we’re doing, clearly for developers. You’ve heard us removing the registration fee to participate in WP development and get access to the tools. You’ve seen us do all sorts of things to make it easier and easier to publish and distribute your applications to everybody. And of course, what we’re also hoping you’d do is recognize the extended opportunity even beyond Windows Phone to monetize your applications on other platforms that reach into places like China, India and Russia where there’s a lot of money being spent. So let me conclude overall coming out of these 5 points about the ecosystem and where Nokia is up to right now. There is absolutely for Nokia to disrupt the current trajectory of what’s going on in the mobile industry. We can redefine the meaning of the word ecosystem and we can expand the participants in that environment. It MUST be a target for developers – so we need your help, no question. And it’s got to be profitable to all of us. We’ve got to make money, Microsoft, you, the operators, everyone’s got to make money whilst we’re going through that. So as a result, I believe that the mobile leaders like ourselves and all of you in this room have the opportunity to link up to a much broader set of opportunities. Coming together is a beginning. Keeping together is progress. But as we are now doing, working together is a success. I look forward to working with all of you THank you.